I feel a rant coming on so consider yourself warned. 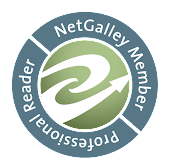 Just why is it that lately authors just assume that you have read the previous books? What happened to the days when every book could stand on its own merits regardless of whether it was part of a series or not? Yes I wanted to read this book knowing that it was second in a series and that I hadn't read the first one. Was that any reason to punish me by having me totally confused the first four chapters? 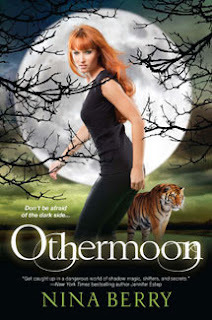 OTHERMOON was a very enjoyable book once I managed to figure out the characters and their relationships to each other. The characters of Dez, Caleb, and the rest of the small of friends and classmates are very well written. The dialogue is fresh and snappy and so what you would expect from teenagers. The plot itself was fresh and interesting, and the pacing was great. I would definitely pick up the next book in the series since hopefully I won't experience the confusion. However OTHERMOON is only getting a rating of 3 due to not being able to stand all on its own. And yes that is a major pet peeve of mine.